Samsung Korea has released the latest 2019 Korea portfolio of their flagship digital door locks. So what are they, what is new, and is it worth buying? 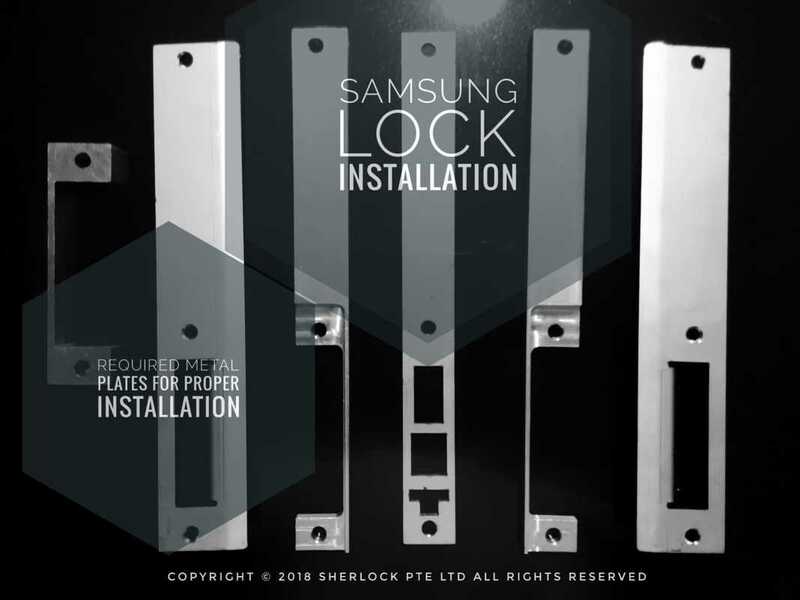 ​We provide installation services for these locks, so if you are looking for installation services >> please click here <<. Note: The equivalent international models at markedly higher prices are SHP-DR708 (~ SHP-DR900) and SHP​-DP738 (SHP-DP950). There is no international model equivalent to SHP-DR700. WiFi: The R-Series models (Samsung SHP-DR900 and Samsung SHP-DR700) embrace WiFi for remote operation and monitoring. It may have some value to a very small segment of customers who really need to do those but give it a serious thought if it is just nice-to-have versus a real need. We think 98% of digital lock owners will have no real need, no time to manage, and hence no use for the WiFi - and that could be a good thing in terms of security, battery consumption etc. Samsung marketing literature uses the trendy word "IoT" (Internet of Things) to describe this WiFi feature though it has very little to do with IoT. You should be very worried about Samsung and hackers snooping in on your lock and what not in the future. Update: The WiFi feature of the SHP-DR900 and SHP-DR700 will not work for Singapore customers because the Samsung App is only found on Korea App Store and requires a Korean mobile no for registration. It is a small miss - we think it is not useful for the majority of customers. 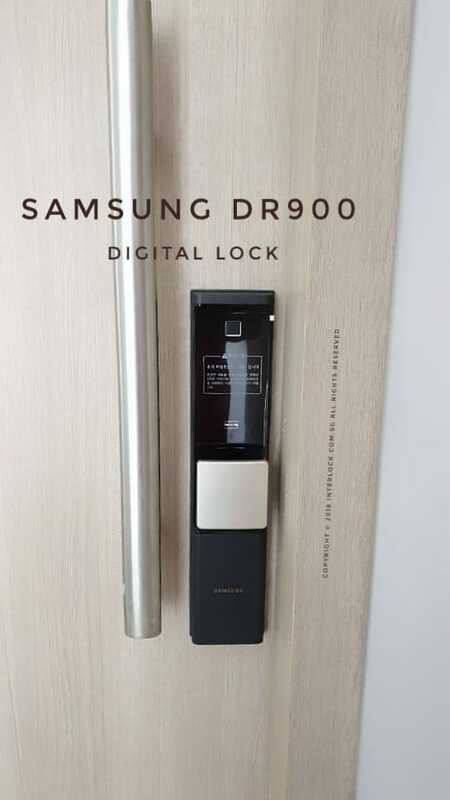 It may be a good thing your lock is not always connected to Samsung infrastructure. Note: Bluetooth is not available for the R series. 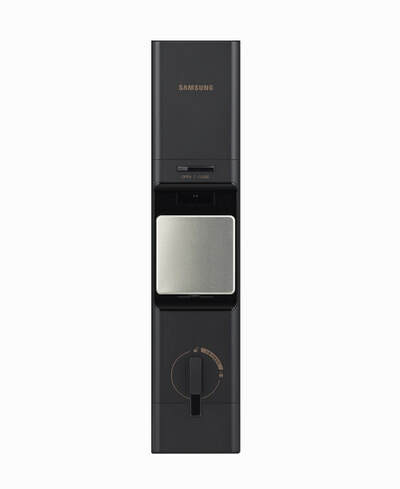 The P-Series Samsung SHP-DP950 remains a Bluetooth model (only) as with it's predecessor, the SHP-DP930. Don't count on Bluetooth working either - but it has little value in real life to most customers. 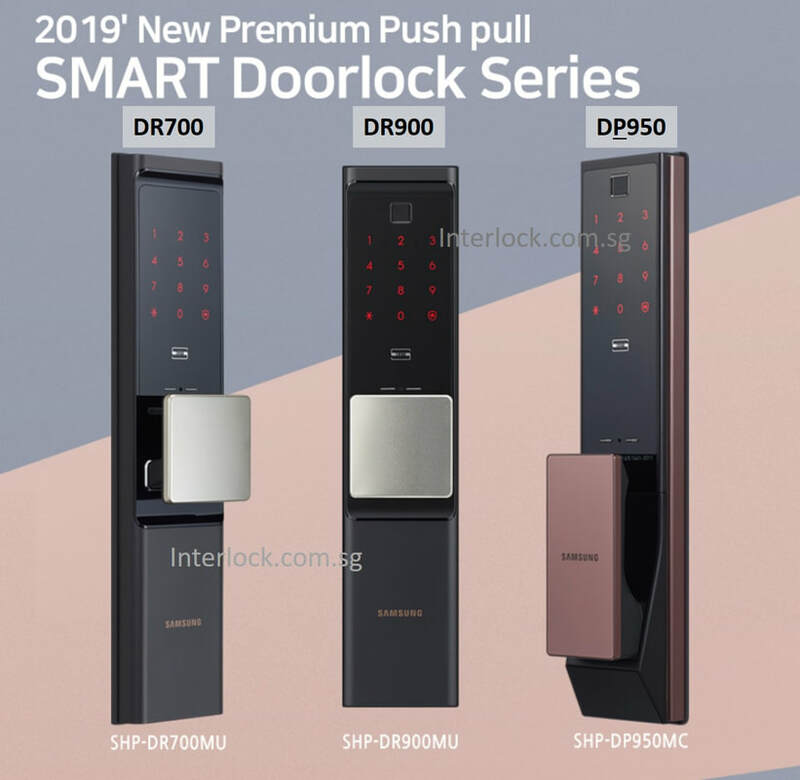 New "Push-Pull" handle: The R-series Samsung SHP-DR900 and SHP-DR700 also use electronic touch-activated handle to unlock the bolt from inside. Touching the inner handle now activates the mortise to unlock, and then you will still have to push the door open. 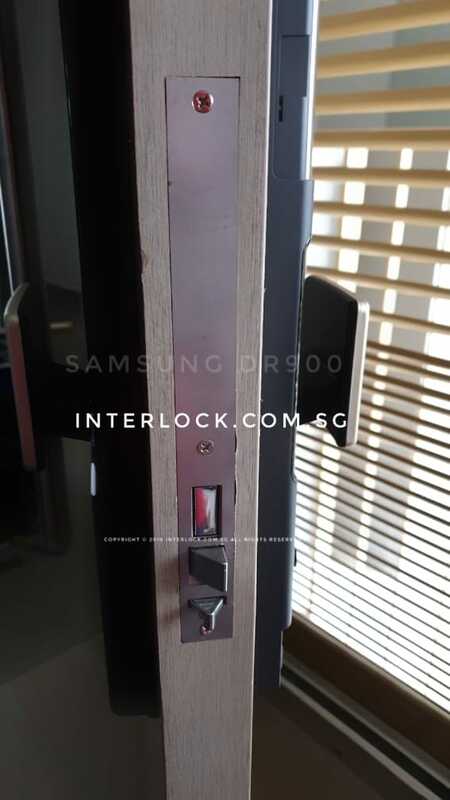 Previously (and also in the new Samsung SHP-DP950), one uses the mechanical lever action of the handle to unlock the bolt and in the same action pulls the door open. At this moment, we could not see the real value of this new feature in the R-series. 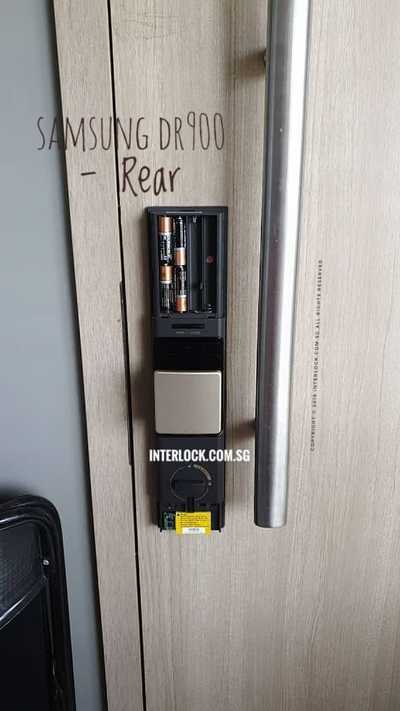 Note: With the new electronic touch handle performing the unlocking of the bolt (instead of a mechanical lever action), it means one cannot unlock the bolt when the lock is not powered (or when there is an electronic failure). This necessitates the need for a mechanical action to unlock from inside - in the form of a big thumb-turn on the inner body. While this is a welcome feature (missing in the previous Push and Pull locks), it becomes mandatory in the R series due to electronic touch handle feature. Fingerprint sensor: The 2019 lineup now uses capacitive fingerprint sensor instead of optical sensors. Capacitive sensors uses electrical charges instead of optical light to model the fingerprint whorls. It will add to the lock cost of production and passed on to the consumer. The Samsung capacitive sensor is not protected by fingerprint lid cover so the jury is out if that is a good design decision (asthetics versus reliability). 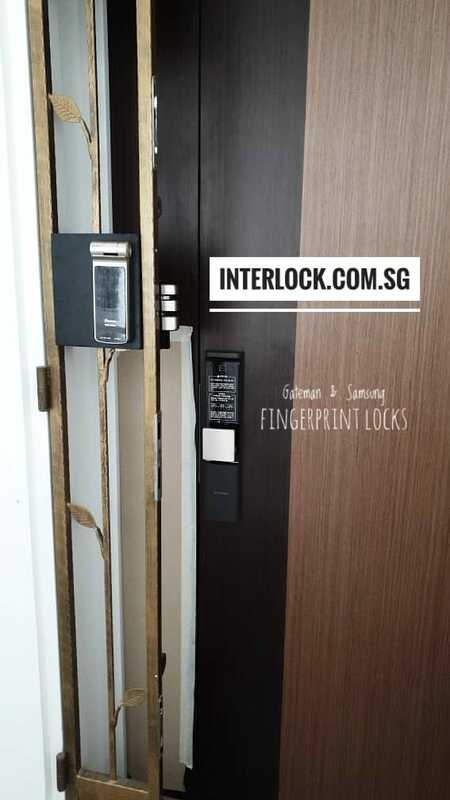 Note: As a comparison, the Gateman fingerprint lock has been using capacitive fingerprint swipe sensors for the last 10 years, and with fingerprint lid cover on the lock. Looks: The beautiful curves are gone and replaced by straight boxy lines. It is subjective and we leave it as that. Price: The extra electronics and marketing has taken a toll on the price. The high end model DR900 flagship model is easily 20% more than last year's (2018) flagship model as of November 2018. Does the price increase justify getting the top model? Hint: it is not going to change your life - perhaps just your ego. Where to buy and caveats: As of October 2018, these are still very new. If you go ahead to buy from Korea, we like the following Qoo10 sellers because they are honest: >> Happy-Mall << and Dream-Zone. The R-series should be door-opening direction independent so they will work with Singapore doors. 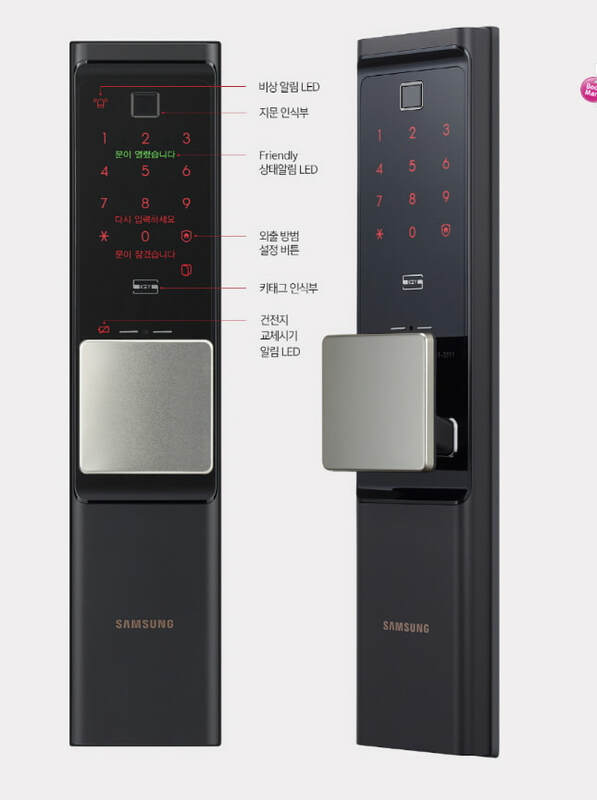 The Samsung SHP-DP950 still uses a mechanical lever action and hence it is important you check that it is changed to support your door opening direction. The WiFi and Bluetooth functions do not work for Singapore but is is not useful for majority of customers. ​Conclusion: We all love a new model that sounds exciting. We are only humans waiting to be thrilled and finding reasons to spend the extra bucks. However, the objective assessment at this moment is that these new models in the 2019 lineup will not make a difference to most of you other than your ego (well, that may be important). That said, it is a new model and if the price is within your budget, why not. Installation Service: If you are getting your Samsung SHP-DR900, SHP-DR700 and SHP-DP950 lock overseas, we provide installation services with all the important plates to cover your existing holes on the door. Check our installation services scope and price here.